in memory of Borzoi K'lar, FC Silkenswift Intent K'lar FC SORC GRC. 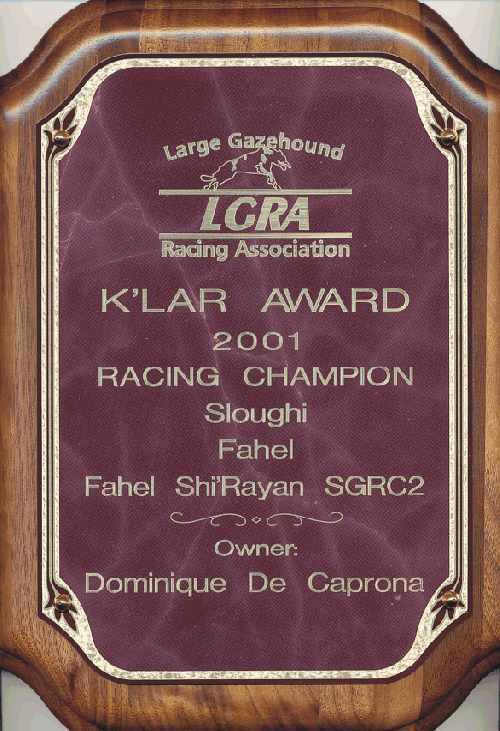 Owned by Sam and Sue Banks, K'lar tragically died in 1996 on the way home from a race meet in Canada. having accumulated 27.5 NRC points at the time of her death.